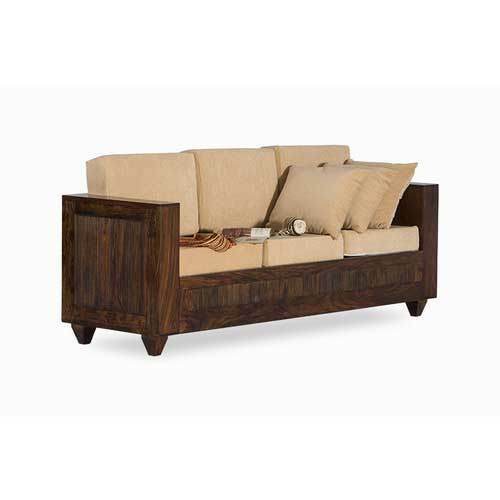 Banking on the necessities of our esteemed customers, we offer an eye-catching series of Stylish Wooden Sofa. Year of establishment 1999, Singh Furniture is a notable Manufacturer and Wholesaler of a comprehensive range of Hotel and Restaurant Furniture, Institutional Furniture, Modular Office Furniture, Office Cabinets and much more. These products are available in many specifications that meet on client’s demand. We are backed by a team of capable team, who are capable to make these products in different specifications that meet on customer’s demand. We have become the best choice among the clientele due to our customer friendly nature and right commercial policy.